Chemically similar to amphetamine, phenylethylamine is a mild alkaloid stimulant produced naturally in your body as a byproduct of the amino acid phenylalanine. A handful of foods made from cocoa beans contain phenylethylamine, or PEA. 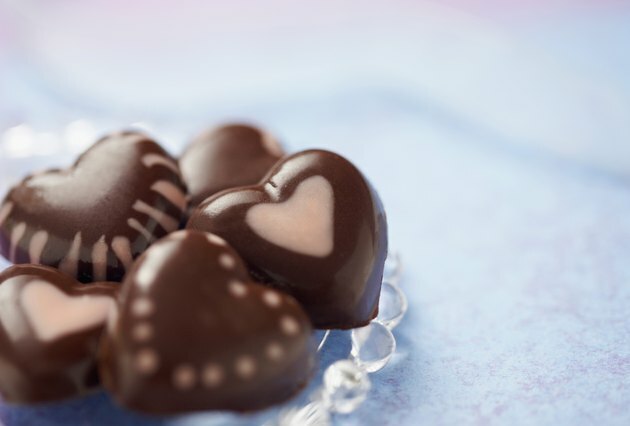 If, however, you prefer not to gorge yourself with chocolate, you can help boost levels of PEA in your body by consuming foods rich in phenylalanine. PEA is also available in supplement form. Consult your doctor before self-treating with PEA. In “Nutrition for Dummies,” author Carol Ann Rinzler observes that your body naturally releases PEA when you’re in love, which helps to account for that feeling of good all over. 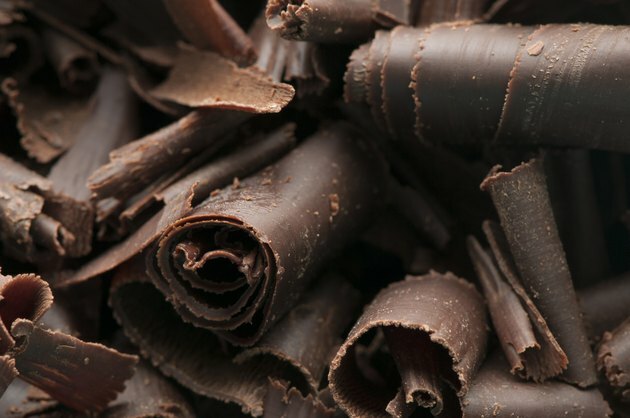 Although chocolate has been a favorite of lovers for centuries, it was not until the late 1980s that scientists discovered that the tasty treat was a rich source of PEA, which Rinzler suggests may help to explain its longtime popularity. In the interest of full disclosure, she points out that chocolate’s high content of the stimulants caffeine and theobromine and the cannabinoid anandamide might also be contributors to chocolate’s almost universal appeal. High-protein plant foods are the richest source of phenylalanine, the raw ingredient from which the body makes phenylethylamine. Raw soybeans contain 1,910 milligrams of phenylalanine per 100 grams, according to DietaryFiberFood.com. 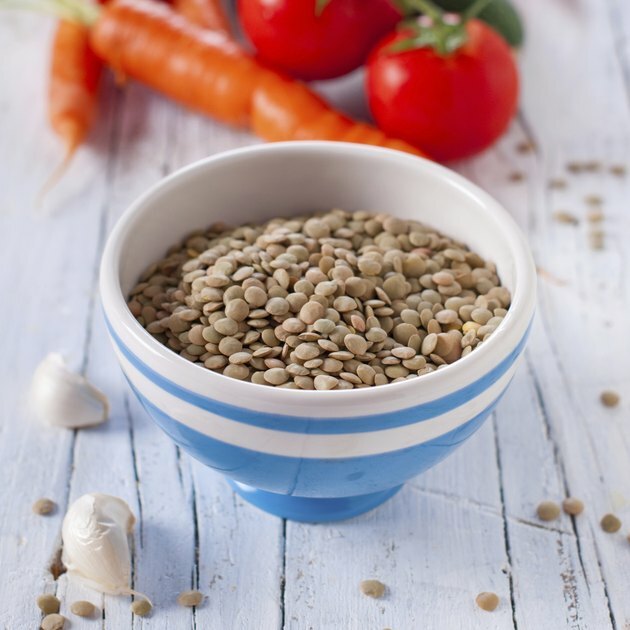 Other foods in this category -- and their phenylalanine content per 100 grams -- include raw cowpeas, 1,390 milligrams; raw lentils, 1,380 milligrams; raw peanuts, 1,340 milligrams; almonds, 1,150 milligrams; raw chickpeas, 1,030 milligrams; raw flaxseed, 960 milligrams; tahini, made from stone-ground sesame seeds, 940 milligrams; and English walnuts, 710 milligrams. Several foods in the meat, seafood and poultry category contain high levels of phenylalanine, the chemical precursor to phenylethylamine. 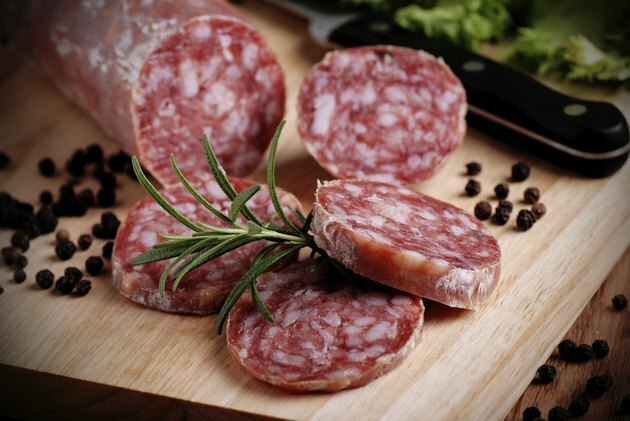 At the top of the list is Italian salami, made with pork, which has 940 milligrams of phenylalanine per 100 grams, according to DietaryFiberFood.com. Also rich in the amino acid are raw top round beef, lean and fat, with 880 milligrams of phenylalanine per 100 grams; raw top sirloin, lean only, 870 milligrams; raw shrimp, 860 milligrams; raw chicken thighs, meat only, 780 milligrams; raw pink salmon, 780 milligrams; raw chicken wings, meat and skin, 700 milligrams; raw Italian pork sausage, 480 milligrams; and raw fresh pork, 220 milligrams. 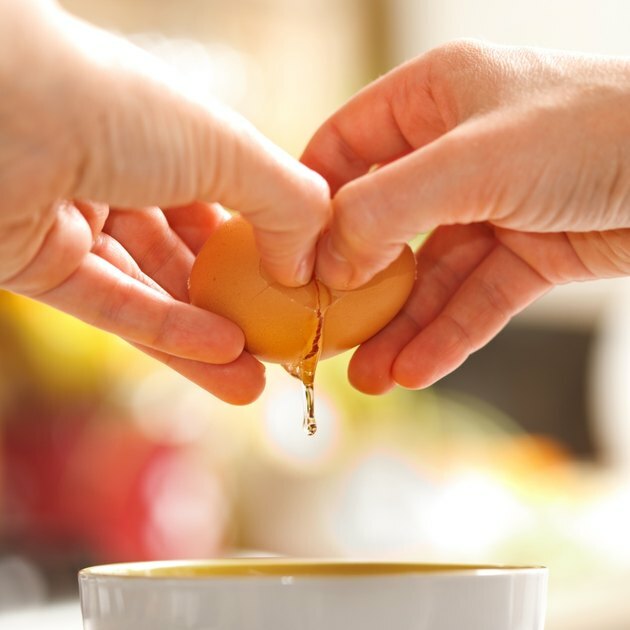 Dairy products, including eggs, also have significant levels of phenylalanine, according to DietaryFiberFood.com. The richest source in this category is raw egg white, which has 690 milligrams of the amino acid per 100 grams. Other foods in this category include raw whole egg, 680 milligrams; raw egg yolk, 680 milligrams; sheep’s milk, 280 milligrams; goat’s milk, 160 milligrams; soy milk, 150 milligrams; whole milk, 3.25 percent milkfat, 150 milligrams; and human milk, 50 milligrams. Chemistry for Pharmacy Students; S.D. Sarker, et al.